The year is 1937. The United States begins the gradual uphill climb out of the worst financial crisis the country had ever experienced. A gallon of gasoline costs a mere ten cents, and Snow White and the Seven Dwarfs debuts as the first Technicolor, full length animated film. 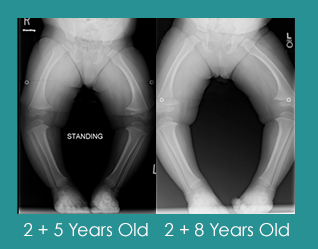 It’s during this time when Dr. Walter Putnam Blount, a pediatric orthopedic surgeon at the Children’s Hospital in Milwaukee, publishes an article in The Journal of Bone & Joint Surgery bringing to attention 13 children each encountering a growth abnormality of the proximal tibia causing progressive deformity. In other words, the lower leg angled inward, resembling a bowleg. In medical terms, this is called tibia vara: osteochondrosis deformans tibiae and would later be named, Blount’s Disease. Dr. Blount would be the first to identify similar clinical, radiographic and pathologic characteristics of this disease, and little did he know at the time this mouthful of a term would simply become known as Blount’s disease. More than 80 years has passed since Dr. Blount’s breakthrough article first published and not much more is known about this developmental disorder. According to the statistics, Blount’s disease is considered rare, affecting fewer than 200,000 people in the U.S., or less than one percent of the general population. Although the exact cause is unknown, research tells us that its occurrence is correlated to childhood obesity, low levels of vitamin D and walking prematurely at eight to ten months. Affecting one or both legs, bowing of the shinbone from just below the knee to the ankle is the most common symptom. This is the result of stress placed on the growth plate at the top of the tibia, causing the bone to slow down or stop maturing on the inside of the leg while the outside part continues to grow. Growth plate, also known as the epiphyseal plate or physis, is made of cartilage (weaker than bone) and is the area of growing tissue near the ends of the long bones in children and adolescents. The uneven bone growth causes the tibia to bend outward instead of growing straight. A child may not feel any pain at all, but adults could experience discomfort on the side of the knee joint and down the inside of the leg. For children, the biggest impact of Blount’s disease is through walking as one may limp or frequently trip. Regardless of age, if not treated, will lead to progressive deformity. Diagnosis of Blount’s disease is determined through a physical examination and radiographic images of the legs. The exam portion conducted by a pediatric orthopedist involves checking the body and legs, and may even include measuring the distance between the knees when standing with touching the feet. A radiographic utilizes X-rays to view the internal structure of an object and confirms or disapproves the existence of Blount’s disease. These tests could lead to a differential diagnosis of bowed legs including rickets, achondroplasia, skeletal dysplasia and neoplastic disease. However, if Blount’s disease is prevalent, the doctor will diagnosis the disorder on a scale of one to six with one being the mildest form to six being the most advanced. Treatment varies on the age and severity of the disease and includes operative and non-operative measures. 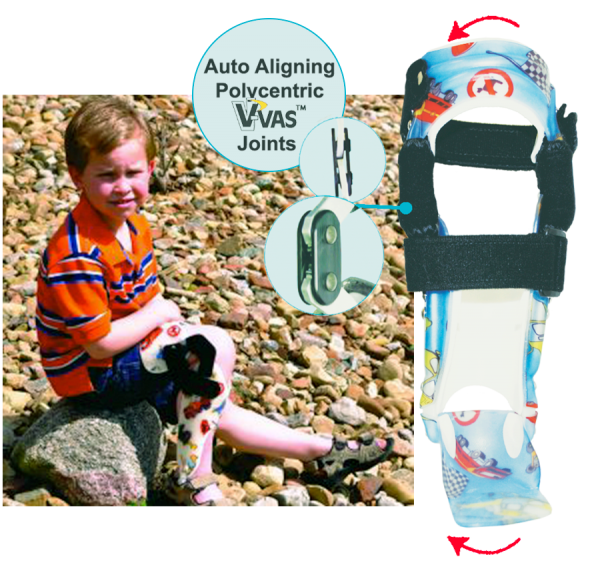 For children under the age of three, brace treatment is always considered first as long-leg and locked-knee braces with pelvic bands to control rotation. A physician will prescribe HKAFO (hip-knee-ankle-foot orthosis) or KAFO (knee-ankle-foot orthosis) to help redistribute the forces on the growth plate to foster normal maturity. The brace must be worn for roughly one to two years to see changes in the shape of the shinbone. If there is no sign of improvement within the first 12 months, then surgery will be recommended.